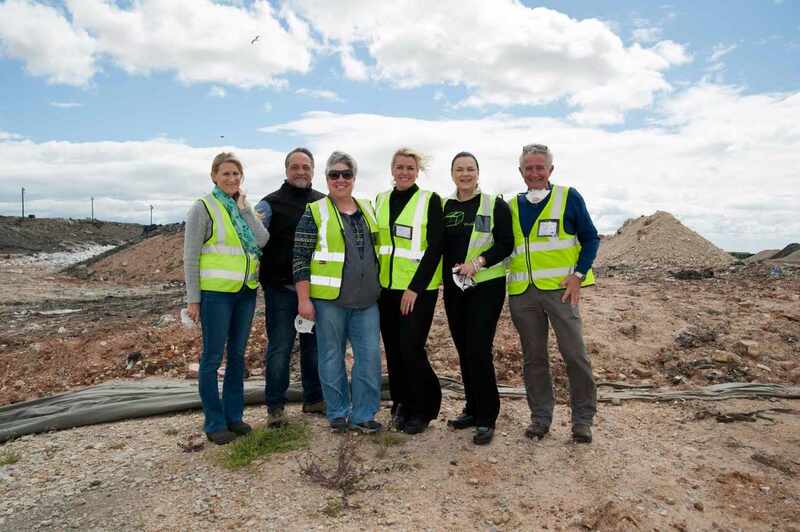 Thursday, 22 September 2016 - Members of The Institute of Waste Management of Southern Africa met at the Enviroserv offices in Port Elizabeth, were treated to informative presentations of both the Aloes Landfill site, as well as the Koedoeskloof Landfill site. Thereafter, members enjoyed guided tours of both facilities. Enviroserv sponsored a delicious brunch, as well as their boardroom facilities for the presentations. The Waste Trade Company sponsored popcorn for the tours and Tetrapak sponsored water. Sue Alcock, operations manager of Enviroserv, opened the event with a presentation about the Aloes HH facility. This ultra modern facility boasts a reverse osmosis treatment plant, an on-site laboratory and a modern weighbridge. Furthermore, in accordance with legislative requirements, a double lined cell was constructed in 2014. This has enabled the facility to provide cost effective solutions to the complex hazardous, non-hazardous and chemical waste problems. 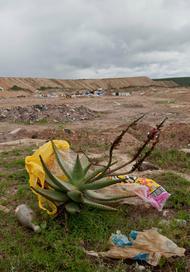 The Aloes HH facility is one of seven such sites managed in South Africa. Riaan le Roux, Assistant Manager: Disposal at Nelson Mandela Bay Municipality followed with a presentation about Koedoeskloof Landfill site. This site was constructed in 1989 and started operating in 1992. The site was permitted as a GLB- and Low hazard liquid site. This site originally served the local municipalities of Uitenhage, Kwanobuhle and Despatch. Since the amalgamation of the erstwhile Transitional Local Councils in the Nelson Mandela Metro almost 40% of all waste generated in the NMBM finds its way to this site for disposal. The presentation also covered an overview of the Waste Beneficiation project that is currently out on tender. "Training sessions such as these are as a result of the relationships built within the IWMSA network," says Theo von Ruben, owner of Chemsolved and Chairperson of the IWMSA Eastern Cape branch, "and we pride ourselves in being able to facilitate educational activities such as these."